Nothing exists in a vacuum. Our bodies are complex organisms that are constantly moving, with chemicals acting and interacting. Sometimes substances work synergistically, bringing out the best in each other. Other times, they work antagonistically, making something that’s generally beneficial harmful instead. 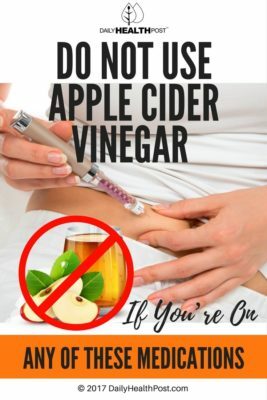 Apple cider vinegar (ACV) can be used to promote optimal health, from skin and hair to proper digestion and weight loss. The proven benefits of apple cider vinegar include fighting deadly inflammation, healing bruises, and even killing cancer cells. For some, the whole body effect of apple cider vinegar is better than any medication, making it a popular home remedy. When mixed with some pharmaceuticals or supplements, however, there are a number of potential side effects and drug interactions to consider. 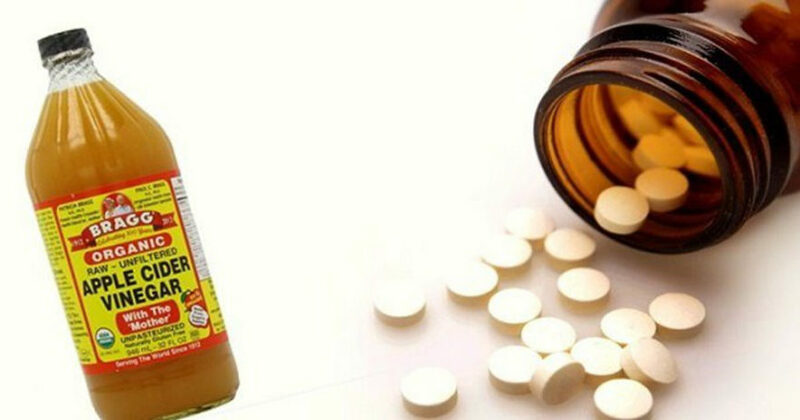 If you are taking any medication at all, it’s a good idea to consult with your healthcare provider or nutritionist to ensure no adverse reactions with any dietary supplement, including ACV. Note: Vinegar used in cooking is fine because it’s diluted in the jumble of your stomach contents. When used alone in larger amounts as a supplement, however, the backdrop changes. 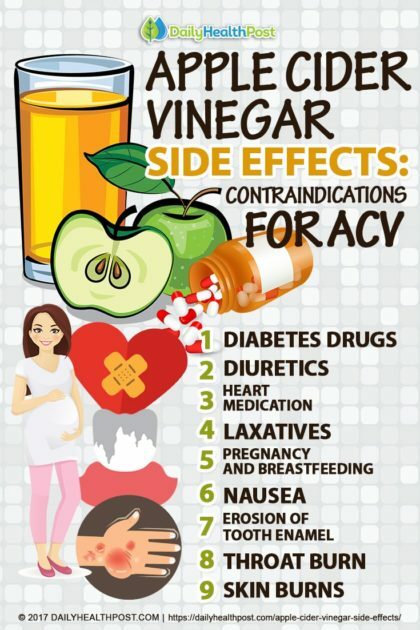 The following are medications and conditions that are known to interact with apple cider vinegar. While some side effects are mild, some interactions are quite serious, and will cancel out any health benefits.